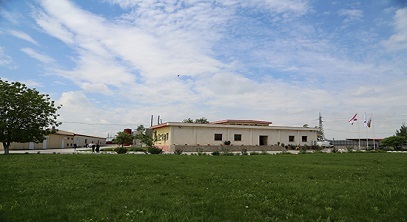 A specialized producer of dairy products, Sheepka 99 was set up in 1999 in Parvomay, Bulgaria. The company’s products are mainly exported to the EU and rest of the world while its brand Maestro is available locally at boutique shops. By using the best traditional methods; the latest innovations; carefully selected sheep, goat and cow milk; no preservatives and no vegetable oils, Sheepka 99 is synonymous with quality. Sheepka produces a wide variety of cheese including handmade Bulgarian cow and sheep milk cheese, Kashkaval sheep cheese, smoked processed cheese, fresh salt-free cottage cheese, fresh white cheese, and other cheese varieties ideal for grilling. Sheepka achieves high levels of quality because of the premium raw ingredients, traditional recipes, superior manufacturing standards and dedication of the management. The firm even has certification for the HACCP system and ISO 22000:2005. Thorough scientific analysis are part of each step of the production process. This means all the products always meet high safety and quality standards. While Sheepka was set up in 1999, it is the result of more than 40 years of specialized expertise and a 1,000 year old cheese-making heritage. Sheepka’s mission is to up-date and preserve the handmade Bulgarian cheese-making tradition while meeting the expectations of gourmets across the globe. Sheepka’s vision is to set the standards and pave the way for Bulgarian cheese production for the next 100 years. Sheepka offers authentic dairy products and is especially known for its Kaval Bulgarian and Kashkaval cheeses. Sheepka maintains in its production process high hygiene and safety standards, innovates, and tailors products to meet refined and evolving tastes.